Pattern and fabric is such an easy way to add interest to any room. If the thought of committing to a patterned wallpaper scares you in its permanence you can always start with a base colour on the walls and use blocks of pattern either in wallpaper, framed prints, tapestries, lampshades or even a mural. This is an easy way to test out a pattern in a room and framed prints and tapestries are movable! 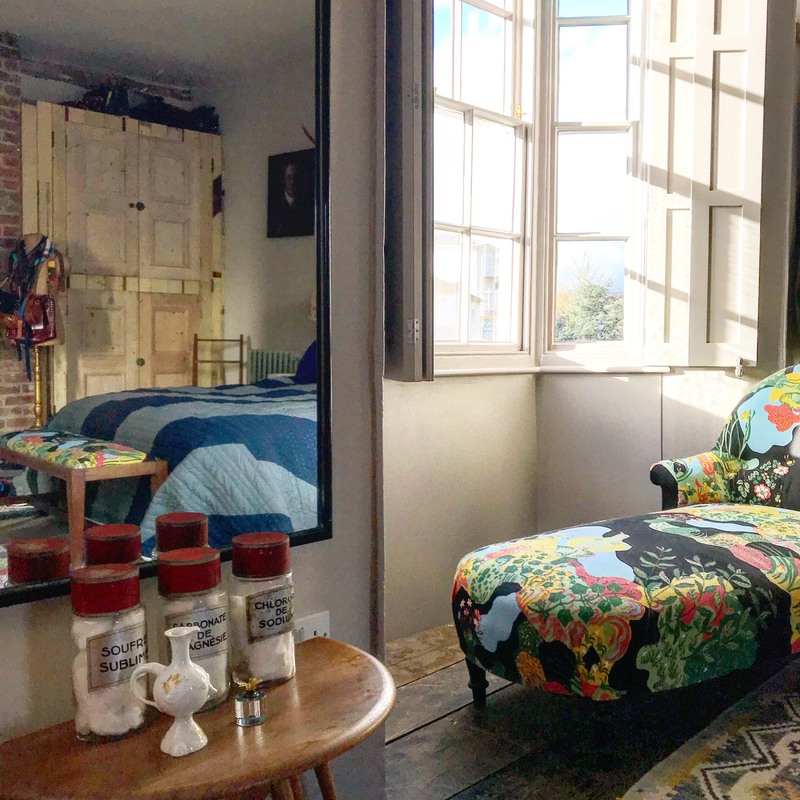 At the curious house I find the best was to add portable style is with fabric through upholstery, you can use busy/bold patterns which are wonderfully effective and draw your eye to a space or a detail but it doesn’t close the room in as a wallpaper might. You can coordinate your chosen home decor blocks with cushions or headboards and curtains – taking as much as the pattern as you want, you can also zone rooms with fabric sections and rugs. Bring on the pattern! Next PostNext when not to decorate!